Grave Harvest: A Gathering of Halloween Souls is an annual convention presented by Abracadaver Productions, an Orange County studio that provides scutpures and molds for films, amusement parks, and Halloween Haunts. 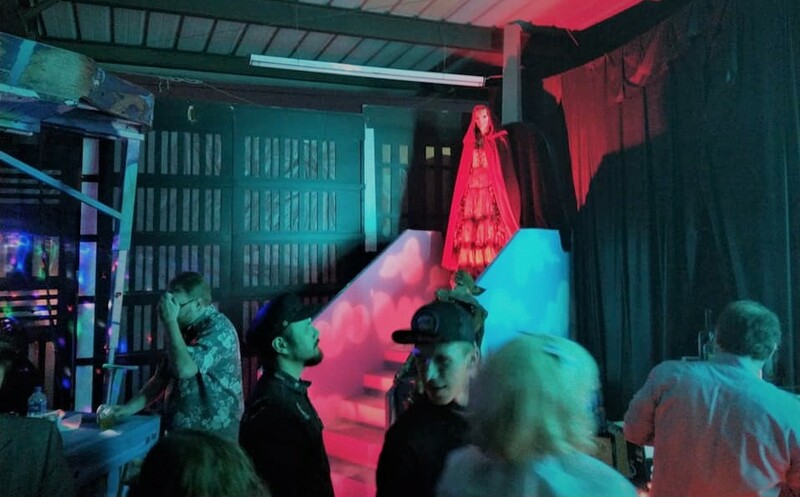 Attendees of the event can enjoy educational prop-building and haunt-related workshops, and also shop for Halloween collectibles and various hard-to-find crafts. 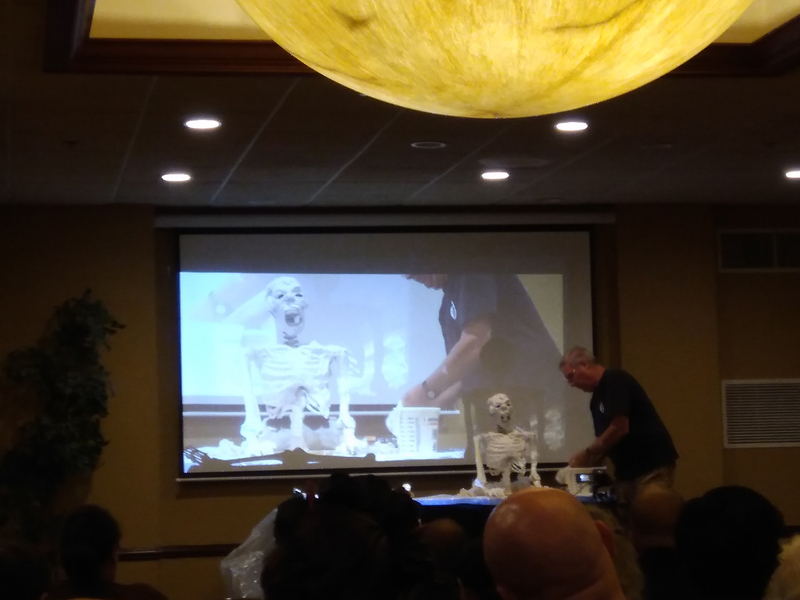 We caught Larry Carr’s workshop on "corpsifying" a store-bought skeleton, which was very informative. Carr turned a generic skeleton into what appeared to be a professional prop with a personality of its own; with decaying flesh, the result easily looked 10 times more scarier than when purchased. 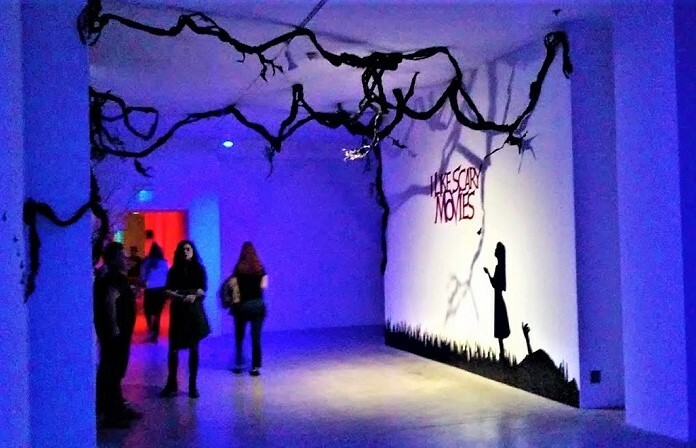 Next, we perused custom-made gifts and rare Halloween-related items on display in two separate ballrooms. Though Grave Harvest is largely geared toward haunters who want to learn trade secrets, it also appeals to regular Halloween fans with entertaining presentations and guests, such as Philip Friedman (who played scary ghost woman in Insidious) and Michael J. Kouri (a parapsychologist who gave a presentation on investigating haunted houses). Overall, we were quite amazed with the prop work. Grave Harvest usually runs early in October, so haunters can purchase the necessary additives for their final masterpieces - whether it is a mask, a prop, or a a custom t-shirt. There can never be enough Halloween and horror-related trade shows, craft fairs, seminars, and conventions, so fans in Orange County should take advantage of this one. Those interested should bookmark abracadaverevents.com to get news of next year's Grave Harvest. Informative and beneficial for aspiring haunt builders.